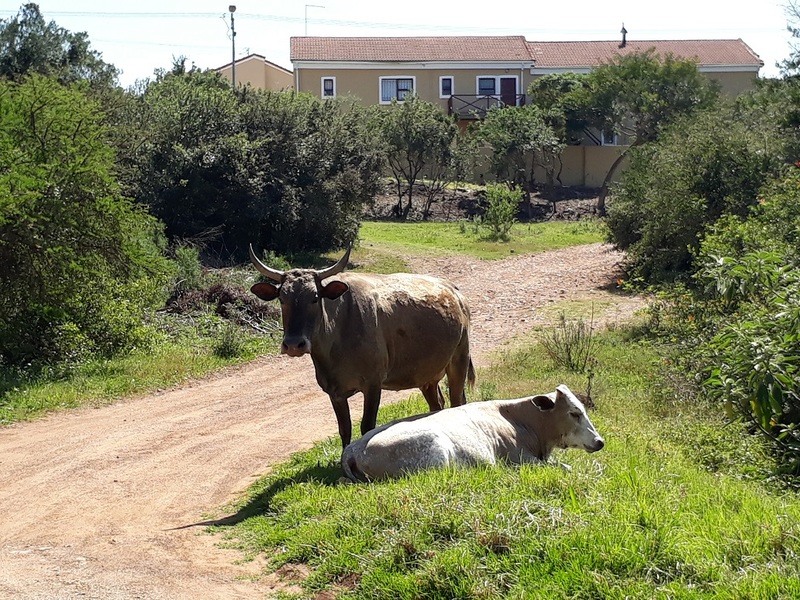 The Urban Herd continues to expand – there seems to be no intention by the municipality to curb their intrusion into the urban area. 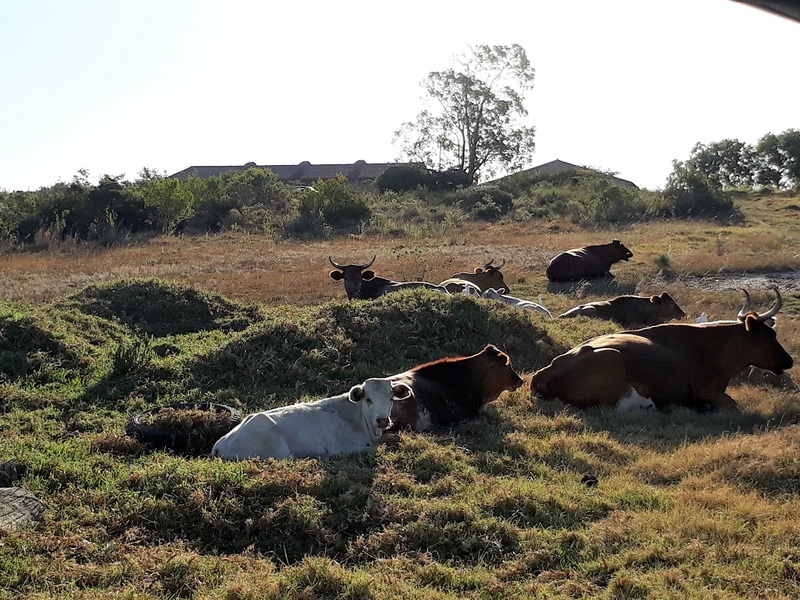 Here a small group is peacefully chewing the cud in open land on the outskirts of the suburb I live in. While they look relaxed and comfortable in the late afternoon light, they would have wandered through the town and up the hill before settling on this temporary resting place. 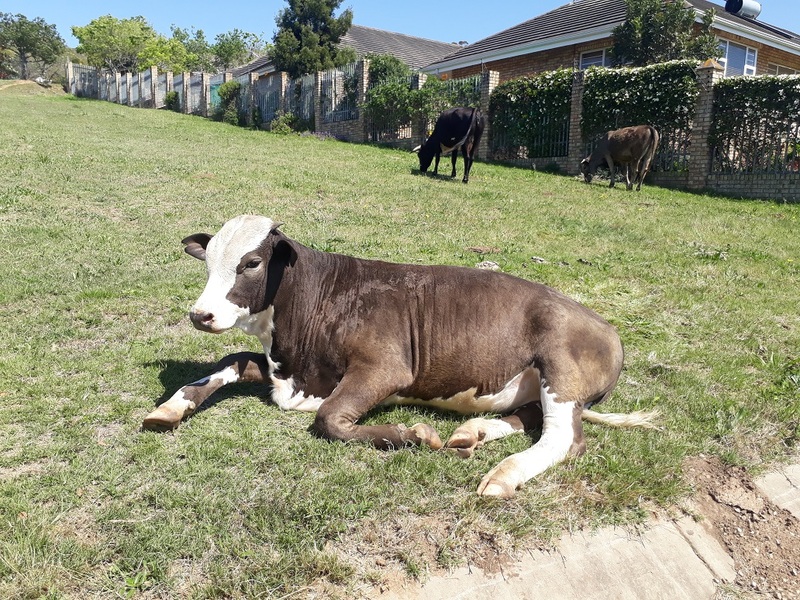 These cattle have been around for so long that we have seen some calves being born and witnessed others growing up, like this one grazing on a pavement outside a house. This one is taking a rest while its elders graze on. They do a lot of resting … or waiting. On some occasions we can count over 30 head of cattle moving together. This dam they frequent is now dry. And still they come, fanning through the suburbs to graze in public open spaces (is that why the municipality seldom mows them anymore? ), along pavements, pulling at overhanging branches of trees, and feasting on any garden plants within their reach. This entry was posted in Animals, musings and tagged cattle, suburban living, Urban Herd. Bookmark the permalink. I don’t see any herders. Is that duty now left up to the townsfolk? These cattle wander around at will. One might occasionally see an old man with a stick sitting on a pavement but that is very rare. Given that we can by now recognize individual animals, I am sure their legitimate owners know their whereabouts. 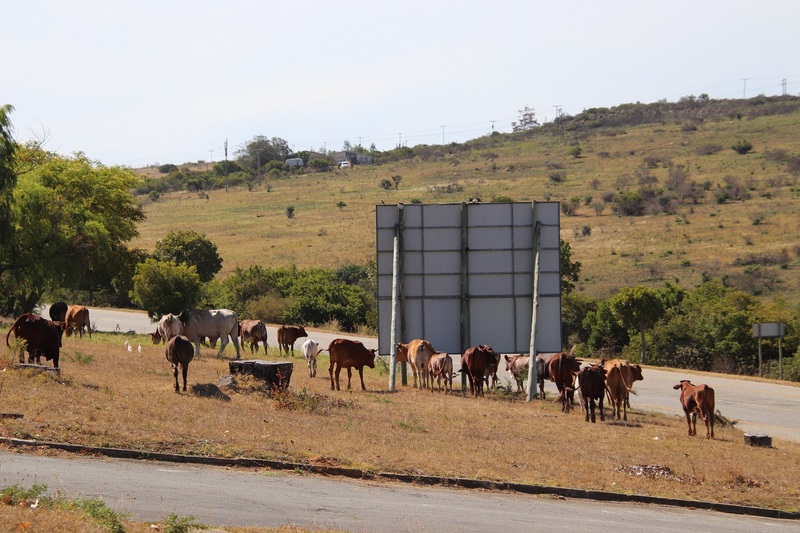 I understand this problem is also experienced in other towns and recently read of plans being put into place to prevent the ‘invasion’ of some suburbs in Port Elizabeth. Lyk eintlik so rustig en vreedsaam, Anne. Ons is nou so gewoond aan hulle dat ons selfs vir party van die bekendste name gee! Dis darem ‘n voordeel dat die gras gratis gesny en bemes word. The certainly look well fed and gentle. 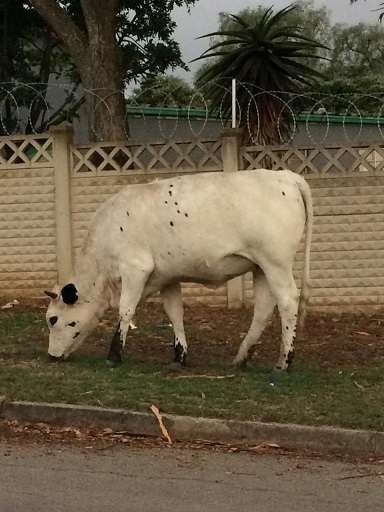 A bit odd to see cattle grazing freely through a town. It should be odd: until about five years ago it was unheard of! 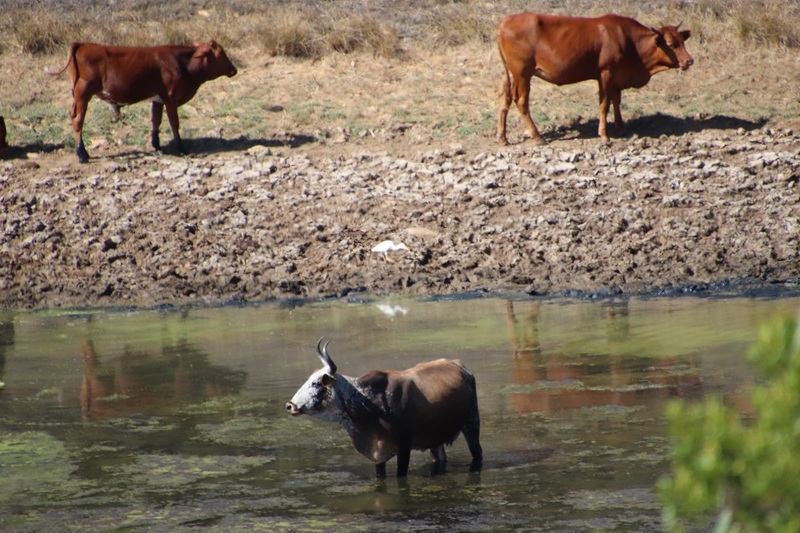 Rest assured, there is plenty of commonage on the outskirts of the town that has been set aside for cattle to graze. Politics and cultural practices have changed, along with what is considered acceptable or not. Your final sentence applies here as well. We have a different version of the urban herd. For us it’s herds (“identity politics,” some call it; others, “diversity”; still others, “political correctness”). I’m learning to adjust.